When you make perfume from flowers, there are several ways to extract the scent. I love to enfleurage rare flowers. 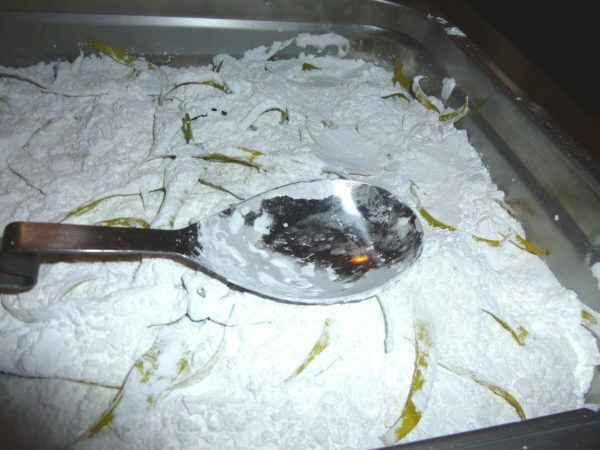 Enfleurage is placing flowers on a bed of semi-hard fat, such as shortening, or rendered leaf lard and suet. The next step in the process is to “wash” the fat in alcohol. This post isn’t about enfleurage, except to point out why I don’t enfleurage a flower that seems ripe for the process. Some flowers, even though they emit a lovely fragrance, shouldn’t be enfleuraged. There are several reason for this. Orange blossoms are fragile, and would fall apart in the enfleurage tray, requiring laborious defleuraging process – picking the petals out, one by one, with tweezers. Tweezers are routinely used to remove flowers from enfleurage fat, but not these, it would be a greasy fiasco, with much fat clinging to the petals, enveloping them. 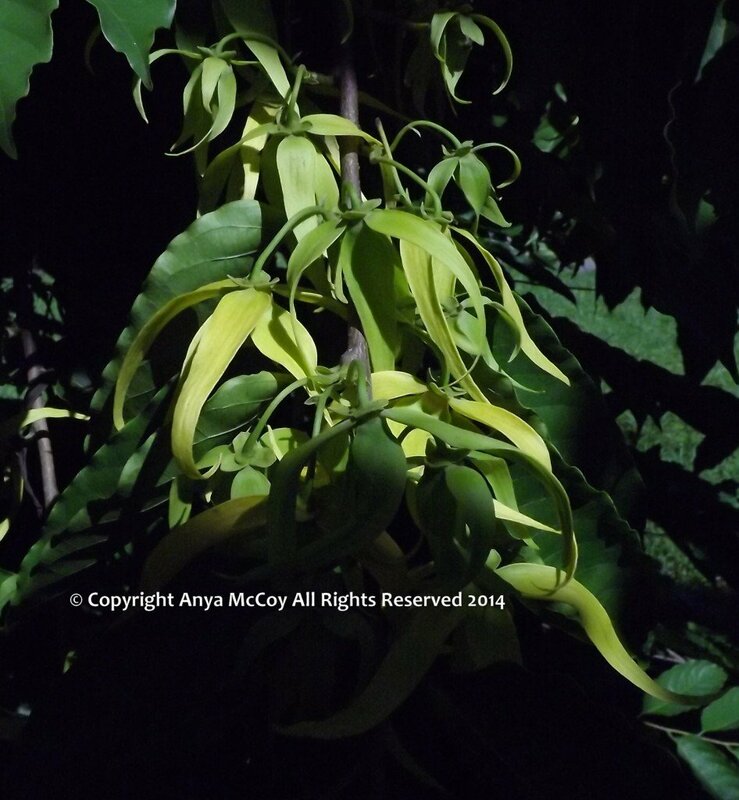 My golden champaca tree is in full bloom, and I have never enfleuraged these flowers. Why? 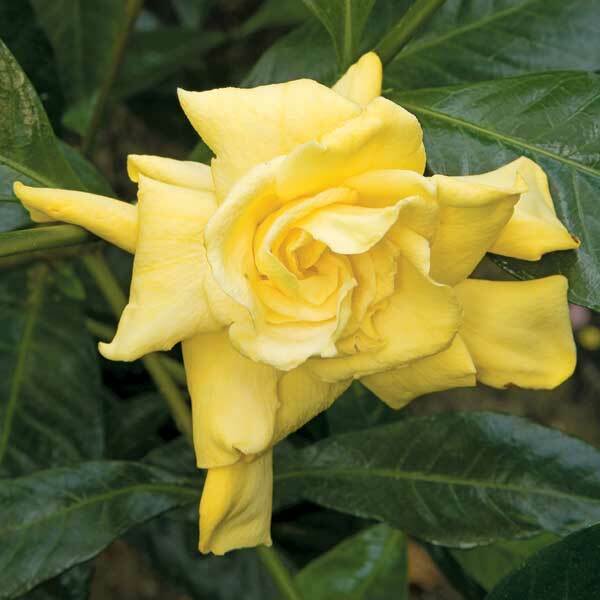 The edges of the flowers tend to start to ‘brown’ or slightly decay shortly after harvest. They would be a watery, moldy mess in enfleurage fat. I also don’t macerate them, which is place them in heated oil. The French, and before them, ancient cultures, such as the Egyptians, routinely placed flowers in warm fat or oil to extract the scent, but I find champaca so delicately scented, so ethereal, I use alcohol to tincture them. I have been making my golden champaca tincture for several years now, and probably have about 20 charges of replenished flowers in the menstruum. The tincture is divine!! This flower is at the limit of wilting or decomposition that I will allow into my tincture. I may snip off the tips if the browning is too much. On-the-spot decisions are necessary when processing botanicals. This is why solvents are used to extract champacas. It’s quick, and saves the flowers from decomposition. Alcohol is a great solvent, and does the job. I have a glorious extract to work with, a statement every artisan perfumer can relate to. 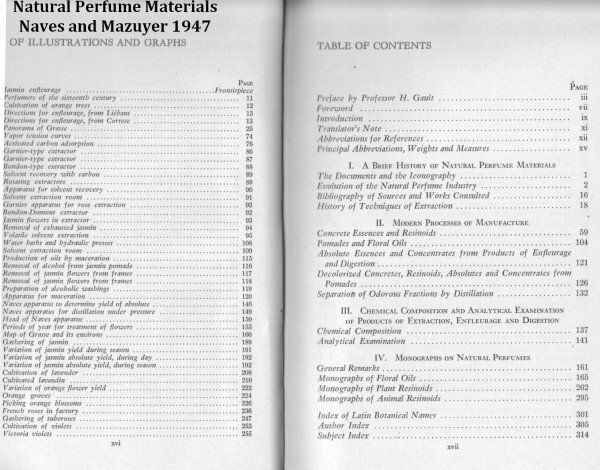 To make perfume with raw materials is fun, and you often get rare plants into the mix that you might not otherwise have access to. Do you enfleurage? 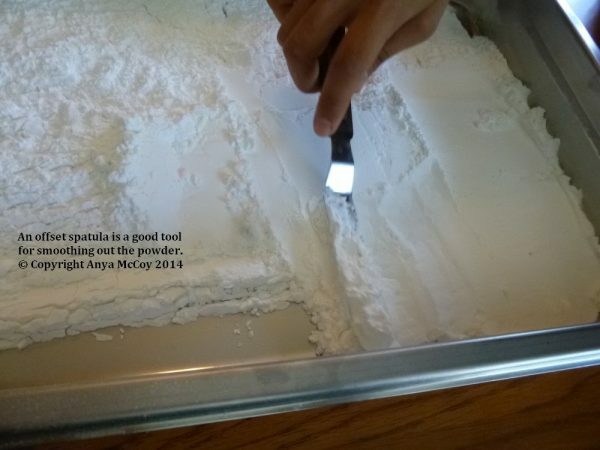 What observations have you made as to the limits of the materials you choose to work with? PS. 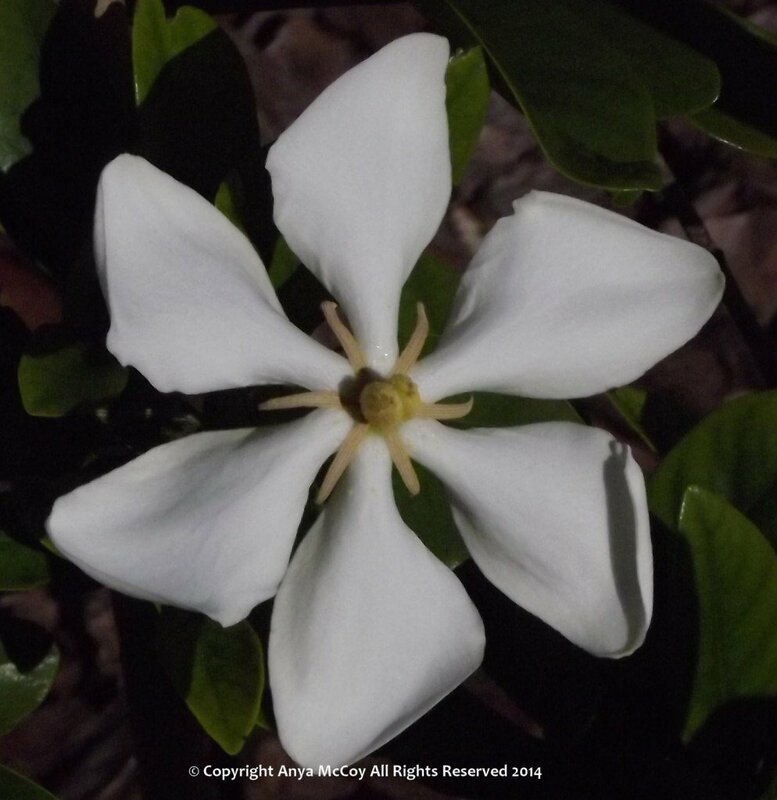 White champaca, Michelia alba – same decomposition problem, but to a lesser degree. An added problem with them is their tendency to shatter, thus the same problem as orange blossoms. 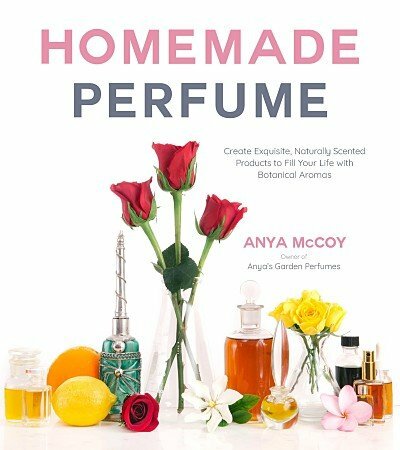 This entry was posted in Anya's Garden Perfumes, enfleurage, How to Make Perfume, natural aromatics, natural perfume, raw materials of perfumery and tagged golden champaca on August 28, 2015 by Anya. 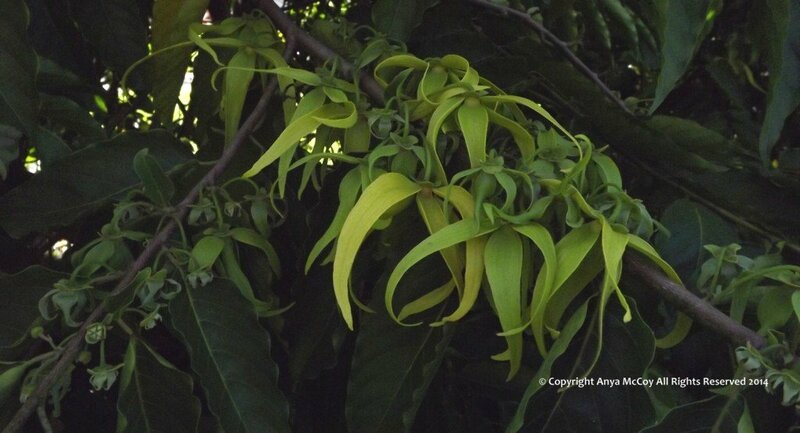 Do you love the fragrance of blooming michelia or ylang ylang flowers? Then you’ll love this pretty flowering plant, sometimes called Summerscent or dwarf tree jasmie. Radermachera kunming is a rare plant, not often found in garden centers. It starts blooming when only 1 – 2′ tall, and mine little plant in a pot is full of blooms and buds. The sweet scent, and at least now, with it’s first big summer flush of flowers, doesn’t smell like jasmine. 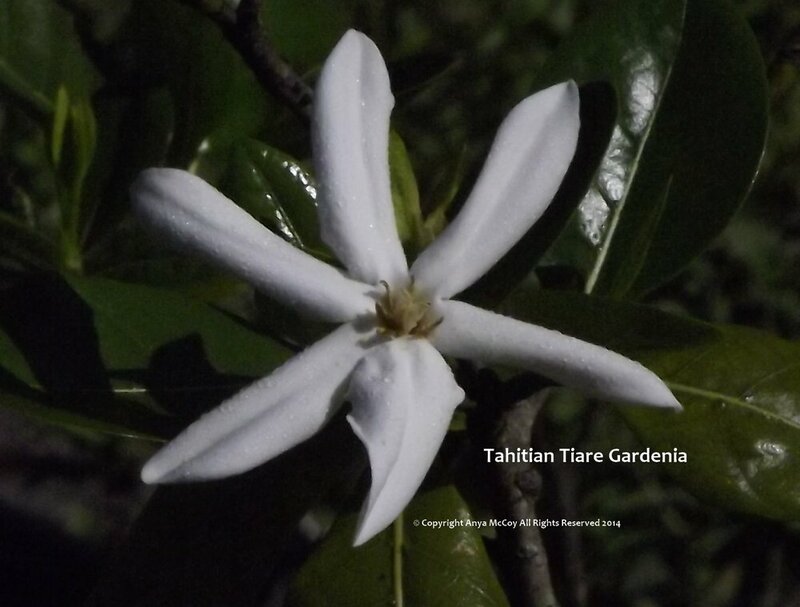 It’s much more like the piercing sweet floral fruity scent of michelia or ylang ylang flowers. It has large cluster of buds ready to open when the current flowers fade. I’m going to start picking the flowers for enfleurage today. 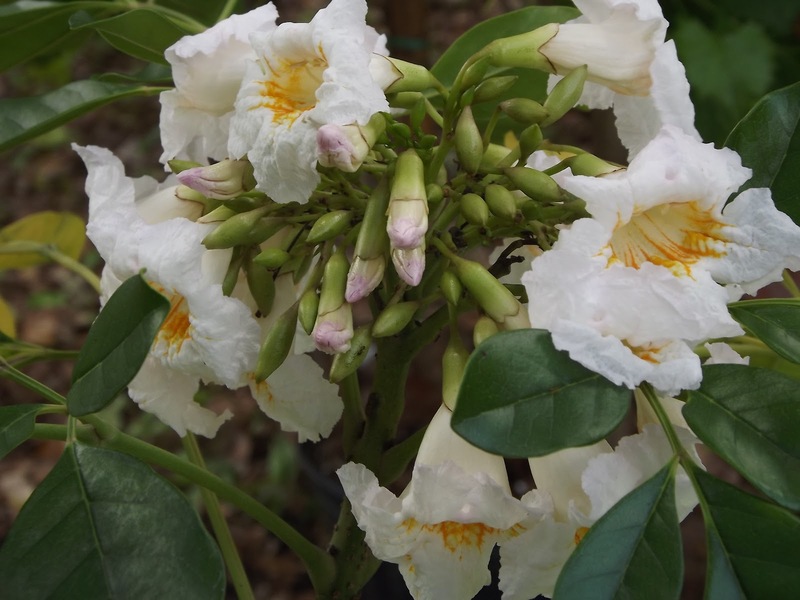 Seeing that it’s native to Thailand, it is a tropical plant, and you either need to live in a tropical or subtropical area to grow it outside, or have a greenhouse. 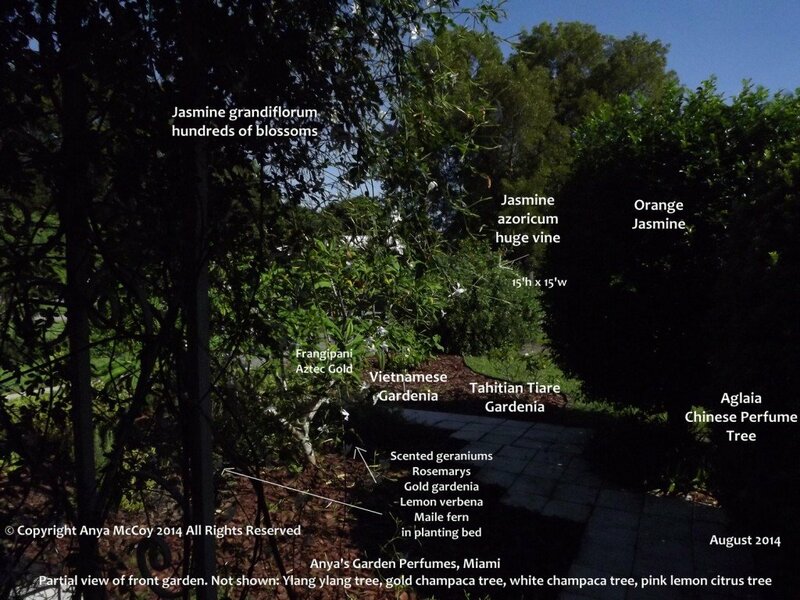 I read some reports on davesgarden.com about the plant, and you can follow up there if you wish to investigate it further. I’ll report back on my enfleurage experiment. If I get enough flowers, I’ll also try tincturing them. 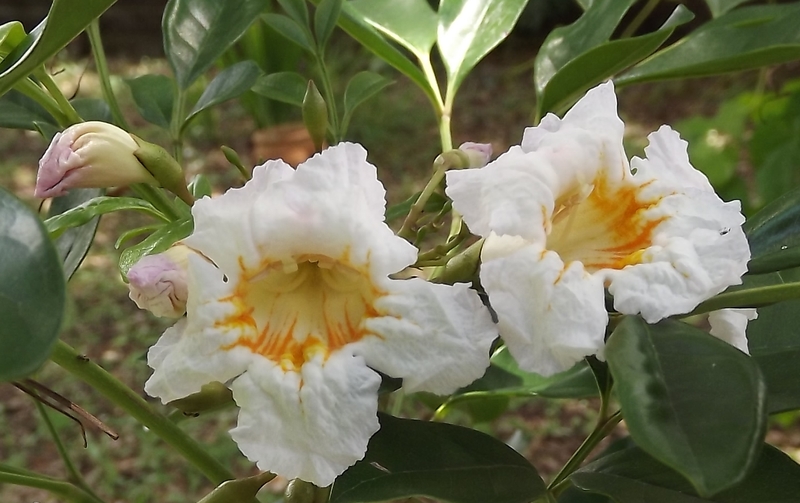 Oh, an extract of the flowers is made in Thailand for relaxation and for supposed aphrodisiac purposes. 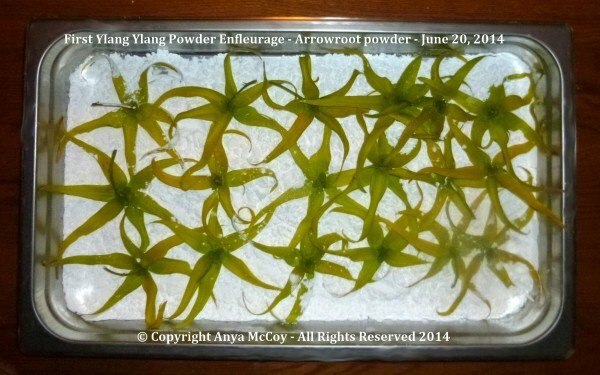 This entry was posted in Anya's Garden Perfumes, enfleurage on May 29, 2012 by Anya. 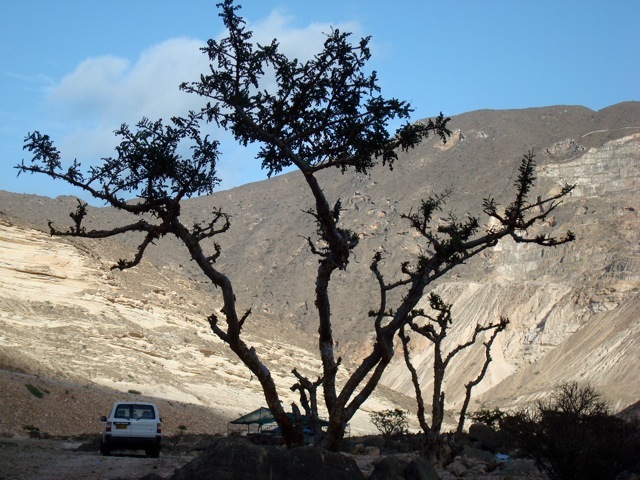 Trygve Harris of Enfleurage sent me a series of photographs of frankincense trees from different locales in Oman. Very intriguing are the ones she calls “Old Lady” trees. 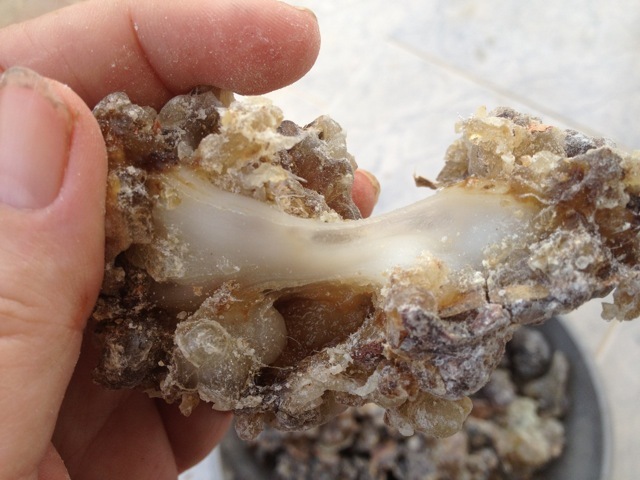 Below are some photos of them, and a photo of some recently-harvested resin from them. 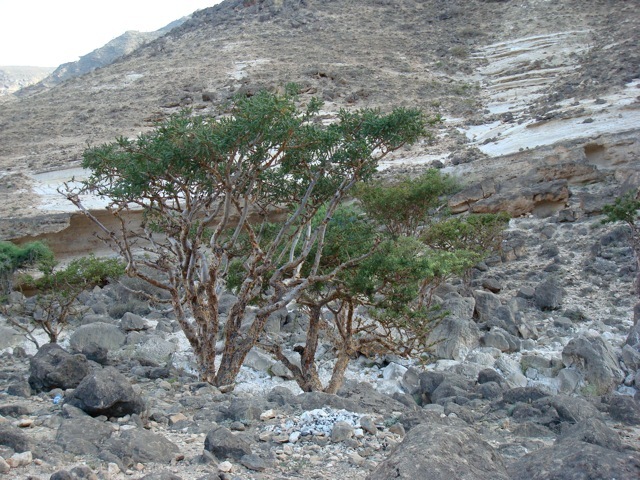 Fresh and oozy Mughsayl (Black) frankincense from the coastal mountains west of Salalah. This is my personal favorite. If you are distilling your own, this is probably your best choice. It’s got a rich snappy sparkle, and glittering pinenes with just a dash of orange. It’s the one I’m talking about when i talk about the Old Lady Trees. This lovely luban is from the monsoon areas, also characterized by high humidity and proximity to the sea. 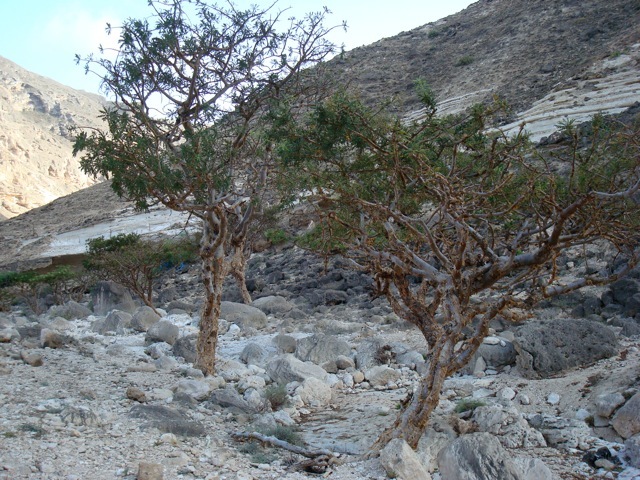 This is the best season for Mughsayl (pronounced mug-sail) frankincense. Although available sporadically throughout the year, now it’s plentiful and fresh. You can contact her trygve@enfleurage.com for more information. 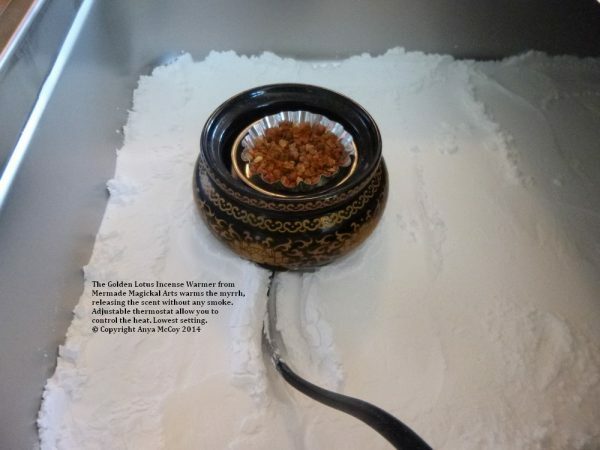 This entry was posted in enfleurage, frankincense friday on March 9, 2012 by Anya. This holiday my home is scented with the heady, floral, spicy beauty of white tuberoses. I just got a shipment in of several hundred flowers, and I now have trays filled with the vegetable shortening and scented beauties. I made several pomades “recharges” with this shortening last spring and summer, but I just wanted a bit more scent in the fat so this latest refreshing with flowers. I also had a tray worth left over for a student who stopped by, so she’s going to get some more pomade going herself. Ah, the fragrance. 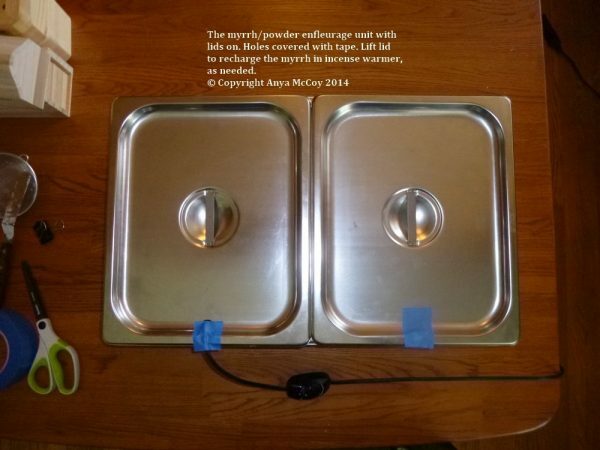 It’s giving me two beautiful experiences: once when I’m putting the flowers in the tray, and later on when I wash the fat with alcohol and create a usable product for my perfumery. This entry was posted in Anya McCoy, enfleurage on December 23, 2009 by Anya.